In my last review, I explained in detail why you should care about Power Lords. I also briefly touched on Adam Power's quest to rid the galaxy of the tyrant Arkus. Well, in order to do that he needs to call upon the mystic energies of the Power Jewel to become LORD POWER. This is where the Power Lords name comes from. Get it? Lord Power? Power Lords? Anyway, the Leader of the Lords comes in the same sweet blister packaging that Adam Power came in. I seriously love the card, here. These are some of the few figures I would actually *consider* displaying on the card, especially since you can freely remove them without damaging anything. Lord Power is sculpted with the same love and detail that went into Adam, so absolutely no complaints here. In fact, I think Lord Power looks even better because of the rich, deep blue that was chosen for his skin. Plus, despite the tiny details all the paint seems to be PERFECT. Even the eyes are painted with the utmost care, right down to the dark lines around them. These toys are some of the best-looking figures I've seen in quite awhile. That alone should entice some people to take the plunge on these guys, but I digress. He comes with the same accessories that Adam Power came with: a helmet, Ion Blaster Rifle, and a Power Staff. Of course, his helmet is the alternate version of the Power Soldier helmet. Lord Power looks great while holding all of his accessories, but for some reason the helmet looks really off since he's so barechested and such. It's not a big deal since the helmet is basically just a pack-in thing because "why not?" Lord Power's articulation is superb, and he retains all the joints that Adam has. That also means that he only has the T-joint hips, which is sad. I would love to see a revision version of these figures that have extra swivels in the hips, but that seems very unlikely. Still, it's not a huge dealbreaker here since I was still able to put him in a bunch of cool poses. And the modular nature of these figures means that you can smash Adam and this guy together to create your own version of his transformation. Basically, you need to own this. If you happen to dig the way he looks, or remember Power Lords with any amount of fondness or nostalgia you deserve to have this gem on your shelf. Since these figures are fairly limited, I can't guarantee that they'll be available for much longer so make sure to act quickly. That transformation shot! The horsemen should use that it's awesome. I was very disinterested when these weren't 6 inches. Your review turned me I just bought the three carded figures on their website. Ridiculously easy with PayPal, done. Super affordable. Ha. Cornboy loved that pic. Ha. Cornboy loved that pic. He's going to use it on the source horsemen site! Guy packaging, they need you on packing! Packaging. WTF whiskey makes typing hard. 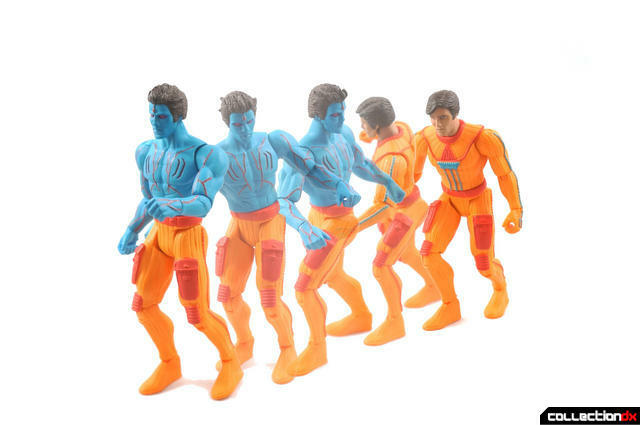 Man, I have no love for Power Lords at all but these figures look sweet and I'm seriously considering picking them up. STOP WITH THE REVIEWS ALREAD!